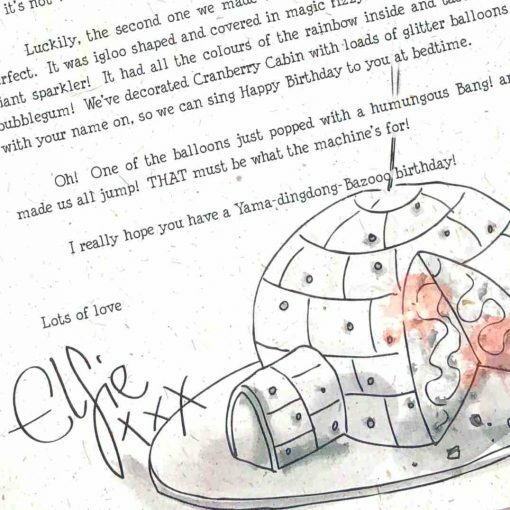 A handcrafted personalised birthday letter written by Elfie, one of the Elves in the North Pole. Complete with splodges for that all important authentic look. Elfie tells us how they decide to make a huge birthday cake but unfortunately Marty’s involved with the baking process and the first one doesn’t quite go to plan! The second cake, (which didn’t involve the Bang! Machine, or Marty), works perfectly and looks exactly like a delicious sparkly sparkling igloo! 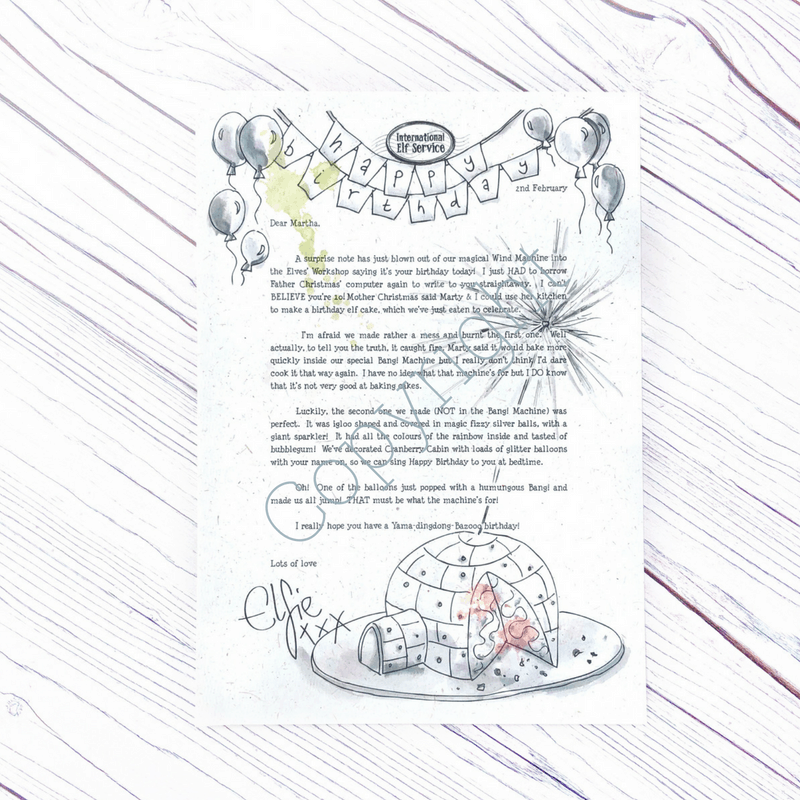 A personalised birthday letter, lovingly illustrated and complete with ink splodges, marks and smudges. 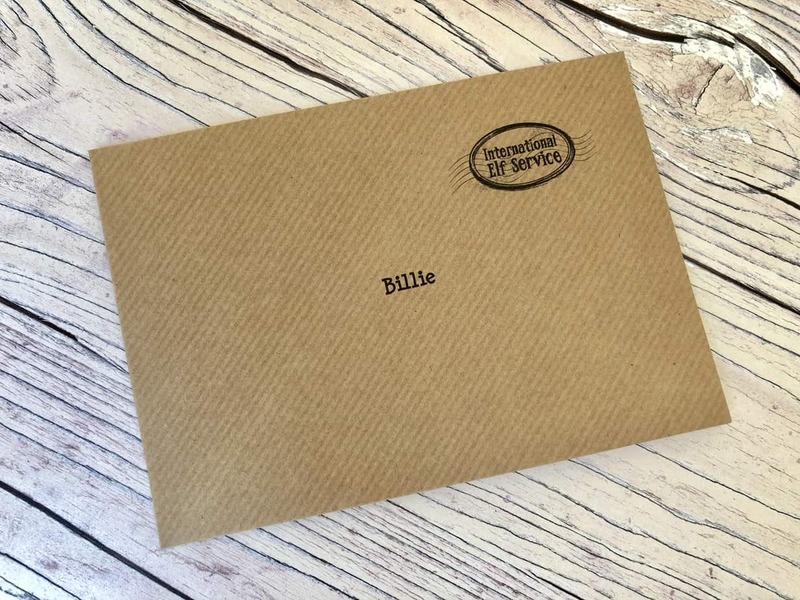 It will be addressed to your child for you to deliver to them on their birthday, with their new age mentioned in the letter. My son loved this letter for his birthday. It was so unique and special, making his birthday even more special. This was perfect for my son who coincidentally had chosen a birthday cake with penguins and an igloo on it. 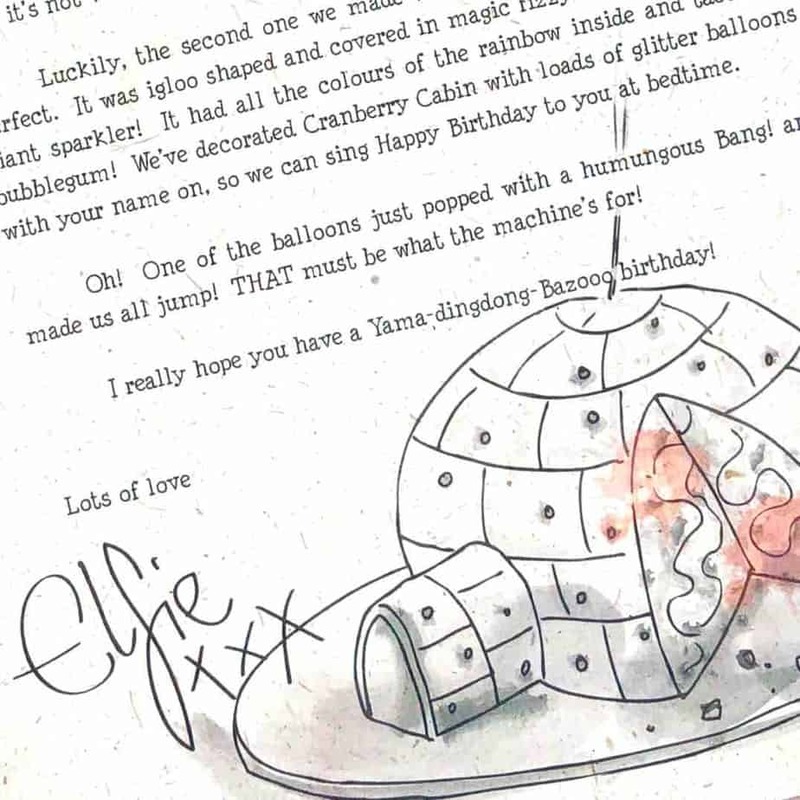 He was delighted to receive the special birthday letter alongside the Christmas letters for his December birthday. It made it a really magical time for him and he keeps asking if Elfie will come back this year….! 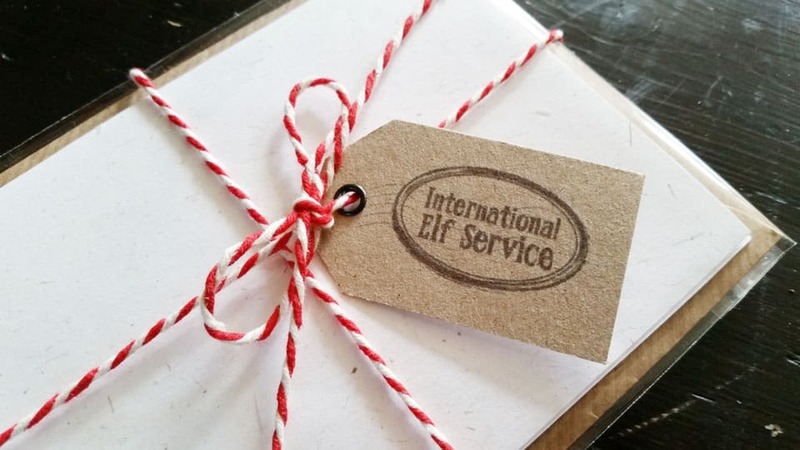 Really looking forward to my grandchildren finding their birthday letter from the elves. Have to wait until October to see their reactions.